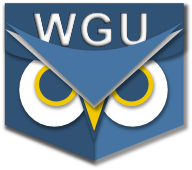 It's almost impossible for us to believe, but it's been two years since PocketWGU was first released (in beta) to students with a posting to the IT Community forum. Build number 1 was written for Android version 2.2 (a version for 2.0 was released the next day) and did little more than let one read the community forums and track course completion. Two years later, build number 70 is up on Google Play with support for 2,547 different devices and on the Amazon market for Kindle Fire devices. The latest version 1.2.2 for iOS supports iPhone, iPad and even the iPod Touch (we still have one for testing), and there's even an experimental version of PocketWGU available on this site for users of the BlackBerry Playbook and the brand new BB10 devices. Time flies when you're having fun! With over 14,000 users (and counting!) this little app has grown and thrived beyond our imagining. The PocketWGU DevTeam offers its gratitude to everyone who's given the app a try and especially to those of you who have provided feedback, help with testing, and kind words of encouragement. Thanks! Here's to another two years even better than those past!